We’re happy to have open-sourced the Netflix Falcor library earlier this year. 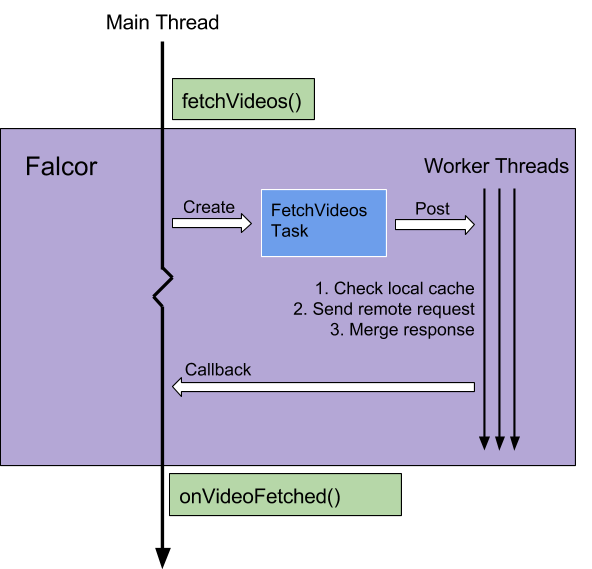 On Android, we wanted to make use of Falcor in our client app for its efficient model of data fetching as well as its inherent cache coherence. Falcor requires us to model data on both the client and the server in the same way (via a path query language). This provides the benefit that clients don’t need any translation to fetch data from the server (see What is Falcor). 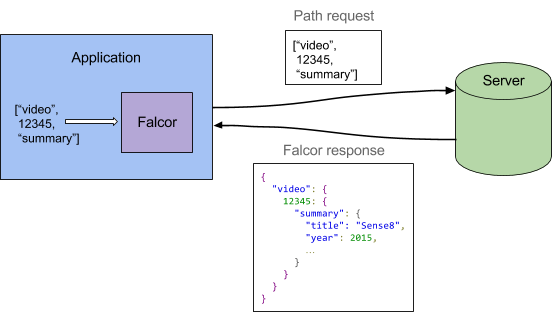 For example, the application may request path [“video”, 12345, “summary”] from Falcor and if it doesn’t exist locally then Falcor can request this same path from the server. Another benefit that Falcor provides is that it can easily combine multiple paths into a single http request. Standard REST APIs may be limited in the kind of data they can provide via one specific URL. However Falcor’s path language allows us to retrieve any kind of data the client needs for a given view (see the “Batching” heading in “How Does Falcor Work?”). This also provides a nice mechanism for prefetching larger chunks of data if needed, which our app does on initialization. Being the only Java client at Netflix necessitated writing our own implementation of Falcor. The primary goal was to increase the efficiency of our caching code, or in other words, to decrease the complexity and maintenance costs associated with our previous caching layer. The secondary goal was to make these changes while maintaining or improving performance (speed & memory usage). The main challenge in doing this was to swap out our existing data caching layer for the new Falcor component with minimal impact on app quality. This warranted an investment in testing to validate the new caching component but how could we do this extensive testing most efficiently? Some history: prior to our Falcor client we had not made much of an investment in improving the structure or performance of our cache. After a light-weight first implementation, our cache had grown to be incoherent (same item represented in multiple places in memory) and the code was not written efficiently (lots of hand-parsing of individual http responses). None of this was good. Falcor provides cache coherence by making use of a JSON Graph. This works by using a custom path language to define internal references to other items within the JSON document. This path language is consistent to Falcor, and thus a path or reference used locally on the client will be the same path or reference when sent to the server. Our original cache made use of the gson library for parsing model objects and we had not implemented any custom deserializers. This meant we were implicitly using reflection within gson to handle response parsing. We were curious how much of a cost this use of reflection introduced when compared with custom deserialization. Using a subset of model objects, we wrote a benchmark app that showed the deserialization using reflection took about 6x as much time to process when compared with custom parsing. We used the transition to Falcor as an opportunity to write custom deserializers that took json as input and correctly set fields within each model. There is a slightly higher cost here to write parsing code for the models. However most models are shared across a few different get requests so the cost becomes amortized and seemed worth it considering the improved parsing speed. Once the Falcor cache was implemented, we compared cache memory usage over a typical user browsing session. As provided by cache coherence (no duplicate objects), we found that the cache footprint was reduced by about 10–15% for a typical user browse session, or about 500kB. We generalized these operations in a component that also managed threading. By doing this, we were able to take everything off of the main thread except for task instantiation. All other steps above are done in worker threads. Further, by isolating all of the cache and remote operations into a single component we were easily able to add performance information to all requests. This data could be used for testing purposes (by outputting to a specific logcat channel) or simply as a debugging aid during development. Although reflection had been costly for the purposes of parsing json, we were able to use reflection on interfaces to our advantage when it came to testing our new cache. In our test harness, we defined tables that mapped test interfaces to each of the model classes. For example, when we made a request to fetch a ShowDetails object, the map defined that the ShowDetails and Playable interfaces should be used to compare the results. We then used reflection on the interfaces to get a list of all their methods and then recursively apply each method to each item or item in a list. The return values for the method/object pair were compared to find any differences between the previous cache implementation and the Falcor implementation. This provided a first-pass of detection for errors in the new implementation and caught most problems early on. Because of the structure of the Falcor cache, writing a dump() method was trivial using recursion. This became a very useful utility for debugging since it can succinctly express the whole state of the cache at any point in time, including all internal references. This output can be redirected to the logcat output or to a file. The result of our work was that we created an efficient, coherent cache that reduced its memory footprint when compared with our previous cache component. In addition, the cache was structured in a way that was easier to maintain and extend due to an increase in clarity and a large reduction in redundant code. We achieved the above objectives while also reducing the time taken to parse json responses and thus speed performance of the cache was improved in most cases. Finally, we minimized our regressions by using a thorough test harness that we wrote efficiently using reflection. Multiple views may be bound to the same data path so how can we notify all views when the underlying data changes? 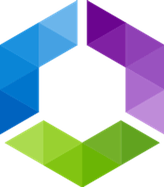 Observer pattern or RxJava. Cache invalidation: We do this manually in a few specific cases now but we could implement a more holistic approach that includes expiration times for paths that can expire. Then, if that data is later requested, it is considered invalid and a remote request is again required. Disk caching. It would be fairly straightforward to serialize our cache, or portions of the cache, to disk. Caching manager could then check in-memory cache, on-disk cache, and then finally go remote if needed. Originally published at techblog.netflix.com on October 20, 2015.